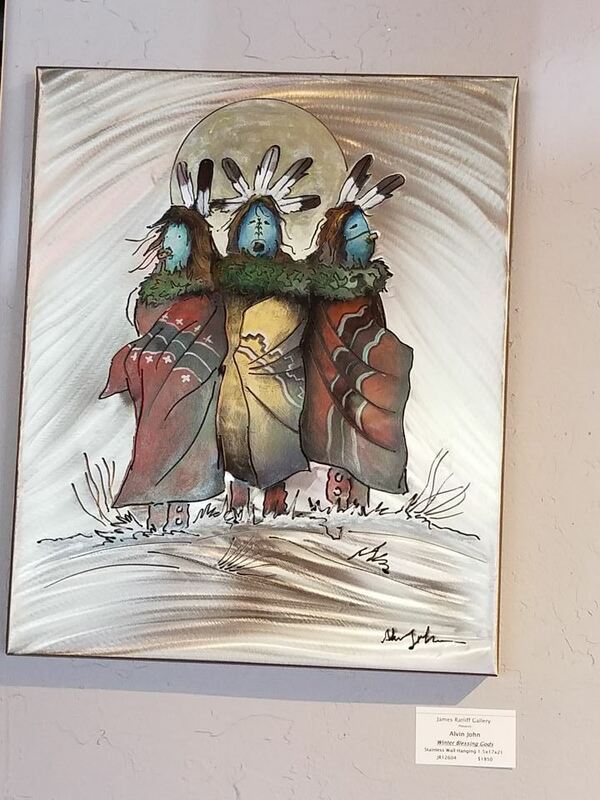 Famed Native American artist Alvin John pieces are featured at James Ratliff Gallery. His work includes Navajo symbolism taught to him by his mother who guided his understanding of the Navajo way of life—the arts, stories, ceremonies, and dances all of which are incorporated into his contemporary art today. 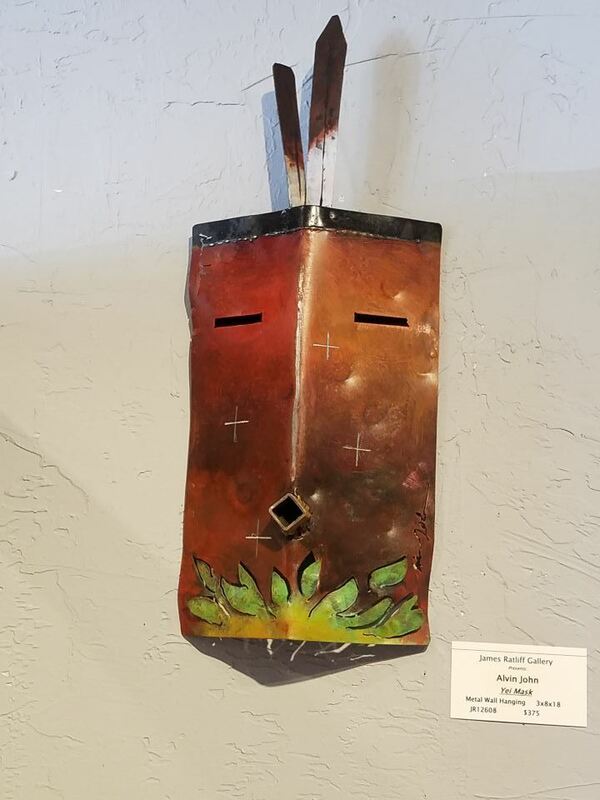 Some of the symbolism you will see in his pieces include eagle feathers representing messaging to and from the spirit world; Yei masks that represent holy beings who are believed to have been on earth prior to humans; circular masks representing females while square represents males, and more. 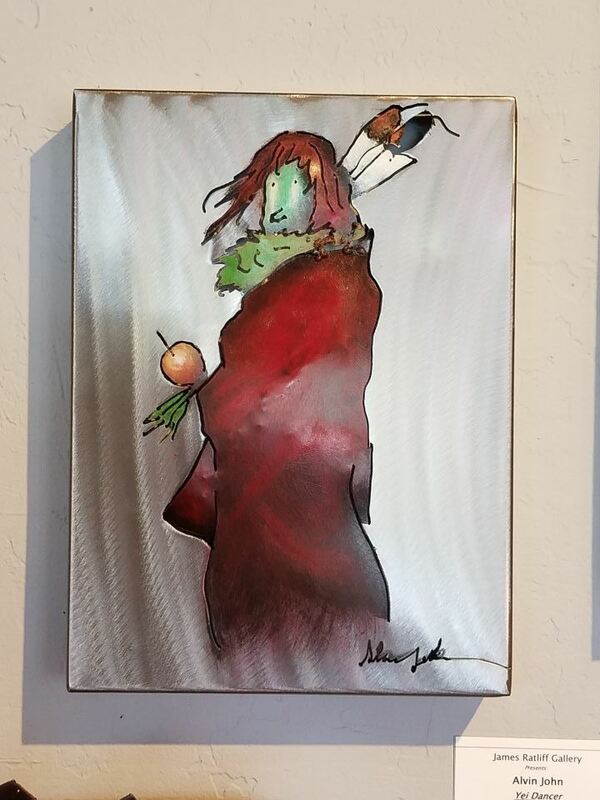 Visit the gallery to view and purchase a remarkable piece of original art from famed Native American artist Alvin John.